Electrolytes are common minerals that work together to maintain physiological equilibrium in active horses, a critical job that is surprisingly easy for you to help with. Basically, all horses sweat and this sweat contains electrolytes. Whether you look at an elite event horse cross-country day, or a riding club horse travelling to and from a local dressage show, these horses have one thing in common – they will both sweat and will consequently both lose electrolytes, though in varying amounts. Electrolyte deficiency can lead to dehydration with its associated health consequences, so, feeding electrolytes daily replaces lost minerals and will help keep your horse hydrated by encouraging him to drink. There are five main electrolytes required by horses, namely: Sodium (Na⁺), Chloride (Cl⁻), Potassium (K⁺), Magnesium (Mg²⁺) and Calcium (Ca²⁺) and all play important roles within the horses’ body. In fact, electrolytes are needed for almost all bodily functions, including fluid regulation and balance, digestion, the acid-base (pH) status of the horse and vital neurological functions such as muscle contraction for optimum performance. Sodium, chloride and potassium are the three most important electrolytes and of these, sodium is often considered the principal electrolyte¹ and is the main regulator of thirst. 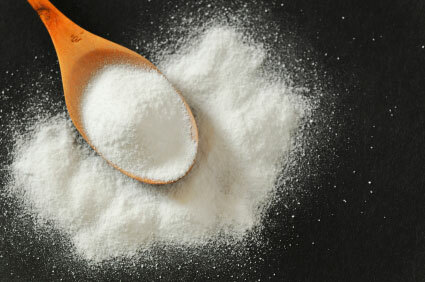 When sodium combines with chloride, the result is sodium chloride, commonly known as table salt! Electrolytes are lost from the body in urine and faeces and through sweat. Horses produce sweat to cool down the body when exercising and this sweat contains the five major electrolytes in differing amounts¹. Electrolyte losses through sweat can be substantial due to the sheer volume of sweat produced by horses (up to 10-15 litres per hour), with chloride and sodium lost in the highest amounts¹ ², followed by potassium, then calcium and magnesium which are lost in the lowest amounts. When high amounts of electrolytes are lost through exercise, they need to be replaced to enhance recovery and keep the horse healthy and hydrated. 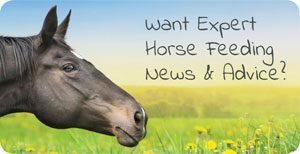 Does your horse need electrolyte supplementation? The amount and type of electrolytes your horse needs to replace as a result of losses through sweat is dependent on the duration and intensity of work undertaken, the prevailing environmental conditions (for example, hot and humid conditions or cool conditions) and the horse’s diet. Research has shown far greater sweat losses in humid conditions compared to cooler conditions³. Most leisure horses at maintenance to light work should get enough electrolytes from a diet high in forage with the provision of 10-12g/100Kg body weight (BW) salt (NaCl) daily (NRC, 2007). This means that simply adding 40 – 60 g of table salt to your horses daily feed (depending on his weight) is sufficient to ensure his daily electrolyte needs for maintenance or light work is met. Forage contains more than adequate levels of potassium and horses eating enough forage such as fresh grass or hay will normally be receiving more than enough potassium to meet requirements, including any potassium lost through sweating². A plain, white salt block can provide sufficient salt for maintenance to light work, provided the horse is consuming enough of it on a consistent basis. Research has shown, however, that horses do not regulate their salt consumption ⁴ ⁵ ⁶ ⁷ meaning adequate intake from a salt lick cannot be guaranteed. Thus, for moderate work and above, an appropriate level of table salt (14g/100 kg BW for moderate work – NRC 2007) should be provided daily, either mixed into feed or possibly offered as loose salt in a separate bucket. Harder working horses, and those who may be competing in hot and humid conditions for example, in endurance rides, could be producing up to 15 litres of sweat per hour, which means they will be losing substantial amounts of the 3 main electrolytes: sodium, chloride and potassium and smaller amounts of calcium and magnesium. These horses will need a supply of electrolytes to keep them hydrated and speed up recovery from training and competitions. During training, the main requirements will be for sodium and chloride, i.e. salt, which can be increased as appropriate from maintenance levels, as the diet ideally should contain enough potassium from good quality forage. Feeding such electrolytes during training is a good way of getting the horse used to eating or drinking them so that when it comes to a competition, the horses is less to likely to refuse any food or water containing them. Additionally, getting horses used to extra electrolyte intake during training is much better than trying to excessively load the horse with electrolytes on the day of a hard race or competition. When the horse is in competition and the sweat losses are likely to be higher, then electrolytes containing potassium as well should be offered. Electrolytes can be fed as isotonic solutions, mixed into feeds or administered as pastes for intense exercise. Depending on the nature of work the horse is doing, electrolytes can be fed before, during and after a competition. Forage should be provided prior to the start of a competition and horses should begin a competition or race fully hydrated. One of the best ways to meet this is to train the horse to initially drink an isotonic electrolyte solution. An isotonic solution is one which provides electrolytes in the same concentrations as sweat for efficient replenishment. Salt (NaCl) can be added to feed beforehand but enough time must be allowed for thirst to be stimulated, i.e. up to 4 hours, so that the horse has sufficient time to drink enough water to become fully hydrated. Research has raised concerns about feeding potassium prior to hard work leading to cardiac problems such as arrhythmias⁸ but more research is needed to clarify this. It is currently thought that providing small amounts of potassium within electrolytes before a competition may be beneficial⁹. During a competition, isotonic solutions can be offered, for example, at a vet gate in an endurance ride, and water should be provided at frequent intervals. Electrolytes can also be added to feeds or administered as pastes during a ride, but it is vital that the horse then also has access to water to enable sufficient hydration. Small amounts of calcium and magnesium can be provided during a ride but it is sodium, chloride and potassium that are mainly needed⁹. Furthermore, if the horse is receiving a good dietary supply of calcium of magnesium, through forage and feed such as a good wholesome balancer (Smart Balance), then the body stores of both are often sufficient to replace the small loses in sweat. After the race or competition, isotonic solutions should be offered immediately, ideally alongside fresh plain water. A further dose of electrolytes can then be given following initial drinking to encourage further hydration which is useful if the horse is a poor drinker. Although an isotonic solution is the best way of regaining full hydration, if the horse has lost a vast amount of sweat, e.g. in hot and humid conditions, to allow a large enough electrolyte intake they may have to drink at the very least 20 litres or more of an isotonic solution. Therefore, a better solution would be to feed an appropriate volume of electrolyte paste and make sure water is provided. It is essential to include potassium in supplementation following a competition or race. Electrolytes should then continue to be provided for 2-3 days after completion to fully replenish losses. There is an array of electrolyte supplements available within the equine market, ranging from powders to pastes, along with a range of different flavours. A good supplement should, however, contain the three key electrolytes sodium, chloride and potassium as the main ingredients and at the correct levels to mirror what is lost in sweat, so as a guide the amount of sodium plus potassium should roughly equal the amount of chloride. The supplement also needs to be isotonic to sweat when made up in solution i.e. water. Many electrolyte supplements contain glucose as a key ingredient, but the key is to replace salts not sugar. Therefore, it is wise to avoid supplements containing glucose as one of the main ingredients. Making your own electrolytes can be an excellent way of providing an isotonic solution or a paste to help restore losses and get the horse hydrated. Home-made electrolytes can be made using table salt (NaCl) and Lo-Salt (KCl and NaCl in a ratio of 2:1) to supply the 3 key electrolytes, sodium chloride and potassium in similar concentrations to that in sweat, and creating an isotonic solution. This can be made by adding 45g of table salt and 45g of Lo-Salt to 10 litres of water, so 90g of electrolyte in 10 litres or a 0.9% solution (9g/l) which is on a par with normal losses (around 10g of electrolytes per litre of sweat) ¹⁰. An alternative recipe often used in endurance rides is a mixture of 2 parts of salt to 1 part Lo-salt again at 90g in 10 litres of water which would constitute 31% sodium, 58% chloride and 11% potassium¹⁰. Apple juice or squash can be added to mask the taste and encourage the horse to drink the electrolyte solution. It is a good idea to get horses accustomed to drinking this before a competition so that when they need it they will drink it readily! If pastes or electrolytes in feed are required, 2 parts table salt to Lo-salt can be added to the feed or made into pastes using apple sauce or a fruit flavoured yoghurt to deliver a maximum of 30g electrolytes per feed or dose¹⁰, depending on the nature and conditions of the competition. It is important to note that feeding electrolytes in this way will stimulate thirst, so it is important clean fresh water is always available for correct rehydration. Frape, D. (2010) Feeding for Performance and the Metabolism of Nutrients During Exercise. In: Frape, D. (2010) Equine Nutrition and Feeding. Chichester. Wiley-Blackwell, pp. 222-264. Coenen, M. (2013) Macro and trace elements in equine nutrition. In: Geor, R., Harris, P. and Coenen, M., eds. (2013) Equine Applied and Clinical Nutrition. China: Saunders Elsevier, pp. 191-228. McCutcheon, L.J. and Geor, R.J. (1996) Sweat fluid and ion losses in horses during training and competition in cool vs. hot ambient conditions: implications for ion supplementation. Equine Veterinary Journal, 22, pp. 54-62. Jose-Cunilleras, E. (2004) Abnormalities of body fluids and electrolytes in athletic horses. In: Hinchcliff, K.W., Kaneps, A, J., Geor, R.J., eds., (2004). Equine Sports Medicine and Surgery. London. Elsevier, pp. 898-917. Jansson, A. and Dahlborn, K. (1999) Effects of feeding frequency and voluntary salt intake on fluid and electrolyte regulation in athletic horses. Journal of Applied Physiology, 86, pp. 1610-1616. Jansson, A., Rytthammar, A. and Lindberg, J.E. 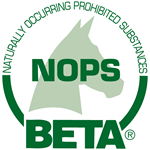 (1996) Voluntary salt (NaCl) intake in Standardbred horses. Pferdeheikunde, 12, pp. 443-445. Kennedy, M.A.P., Entrekin, P., Harris, P.A. and Pagan, J.D. (1998) Voluntary intake of loose versus block salt and its effect on water intake in mature idle thoroughbreds. In: Pagan, J.D., Geor, R.J., eds., (2001) Advances in Equine Nutrition II. Nottingham. Nottingham University Press, pp. 147-149. Coenen, M. (2005) Exercise and stress: impact on adaptive processes involving water and electrolytes. Livestock Production Science, 92, pp. 131-145. Marlin, D. and Nankervis, K. (2002) Thermoregulation. In: Equine Exercise Physiology. Oxford: Blackwell Science, pp. 133-150.